You've helped us plant over 380,000 trees as of February 2016! 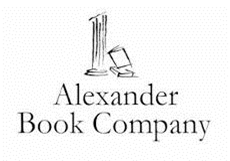 Alexander Book Co. supports Trees for the Future (TFTF), a non-profit organization planting trees around the world in communities struggling with severe problems related to deforestation. Since book production uses a good number of trees why not support planting more trees around the world. In a world plagued with many very difficult problems slowing or reducing deforestation seems like something which is doable as Wangari Maathai, the 2004 Nobel Peace Prize winner said, "Why not plant the trees? I thought. It seemed reasonable and doable. Anybody can dig a hole and put a tree inside and water it and nurture it. Something wonderful happens when you plant a seed." Planting millions of trees each year all over the world.